"The NT was written for believers, not for doubters. Believers are the implied readers of the NT texts, and therefore believers are in the best place to make sense of the NT texts. It is to believers that the texts open themselves most readily. This is contrary to the frequently encountered claim that faith is an obstacle to the proper understanding of the NT. Only, however, when faith is characterized by openness rather than an a priori dogmatism is it an aid to the study of Scripture. "It should be stressed once again that the critical method is indispensable to the study of Scripture. It is the sine qua non of responsible interpretation of God’s word. The believer need have no fear of the method itself, but need only be on guard against the employment of improper presuppositions. J. B. Lightfoot gave helpful counsel:"
The timidity, which shrinks from the application of modern science or criticism to the interpretation of Holy Scripture, evinces a very unworthy view of its character. If the Scriptures are indeed true, they must be in accordance with every true principle of whatever kind. It is against the wrong application of such principles, and against the presumption which pushes them too far, that we must protest. It is not much knowledge, but little knowledge, that is the dangerous thing here as elsewhere. From the full light of science or criticism we have nothing to fear: the glimmering light—which rather deserves the name of darkness visible—hides and distorts the truth. 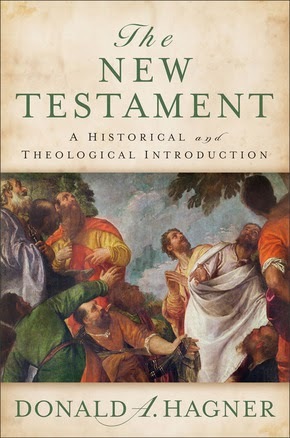 Donald A. Hagner, The New Testament: A Historical and Theological Introduction (Grand Rapids: Baker Academic, 2012), 10-11.